Weekly Practice: Language Arts for kindergarten provides daily practice for key concepts such as the alphabet, phonics, story elements, rhyming words, and more. Complete with flash cards and activities, this series supports classroom success by offering extra practice at home. --Improve students' comprehension skills in the classroom while also providing a way to continue the learning process at home. Weekly Practice: Language Arts for kindergarten allows you to reinforce language arts topics at school and at home by offering 40 weeks of standards-based activities and skill review. The unique layout and engaging exercises keep students interested as they build concept knowledge and essential skills. Reproducible at-home activities and flash cards are also included to encourage the home-to-school connection that's essential for student success. --Weekly Practice is the perfect time-saving resource for creating standards-aligned homework packets and keeping students' skills sharp all year long. The Weekly Practice series for kindergarten to grade 5 provides 40 weeks of comprehensive skill review. 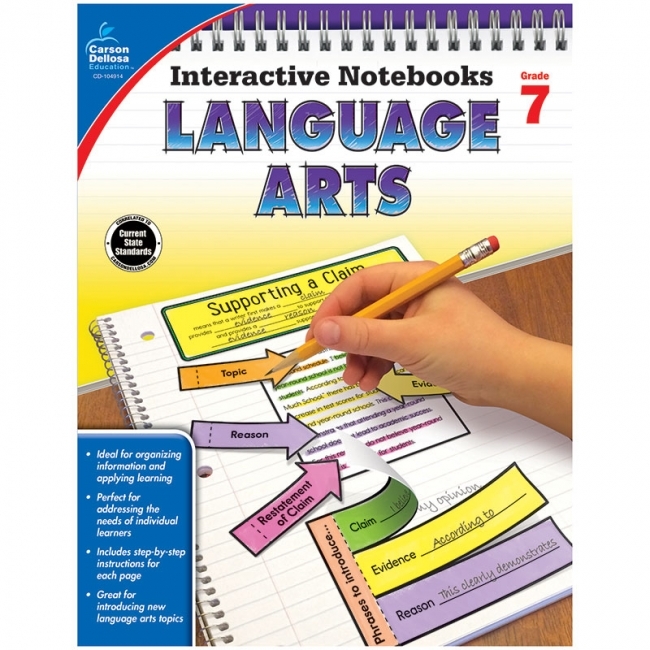 Each 192-page supplemental workbook focuses on critical skills and concepts that meet the standards for language arts or math. 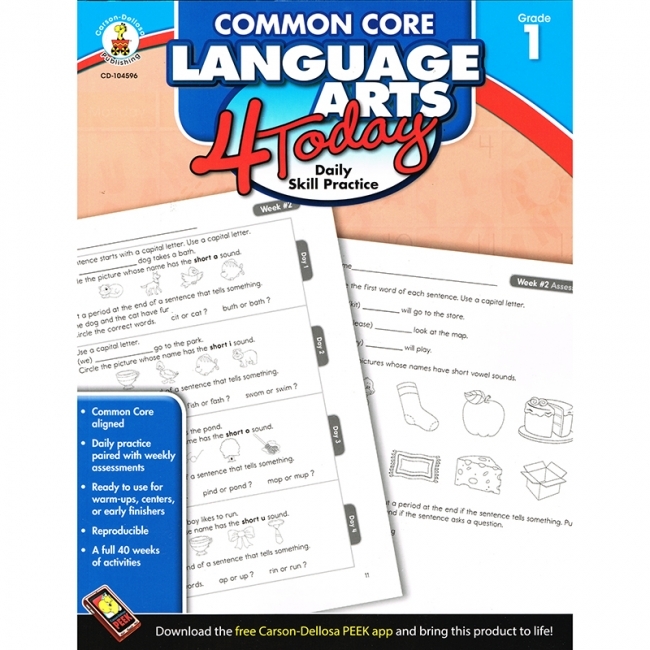 Designed to help students achieve subject mastery, each book includes four days of practice activities, weekly off-the-page activities, Common Core State Standards alignment matrix, flash cards, and an answer key. Weekly Practice offers an effortless way to integrate language arts or math practice into daily classroom instruction. 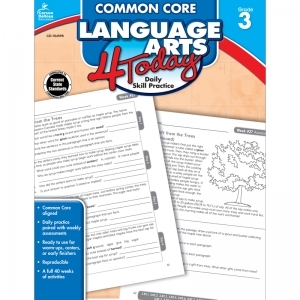 Weekly Practice: Language Arts for grade 3 provides daily practice for key concepts such as root words, affixes, story elements, main idea, parts of speech, writing, and more. Complete with flash cards and activities, this series supports classroom success by offering extra practice at home. 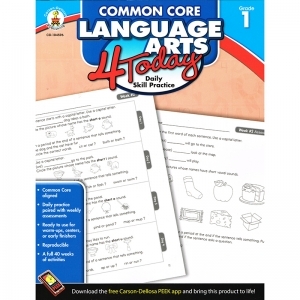 --Improve students' comprehension skills in the classroom while also providing a way to continue the learning process at home. 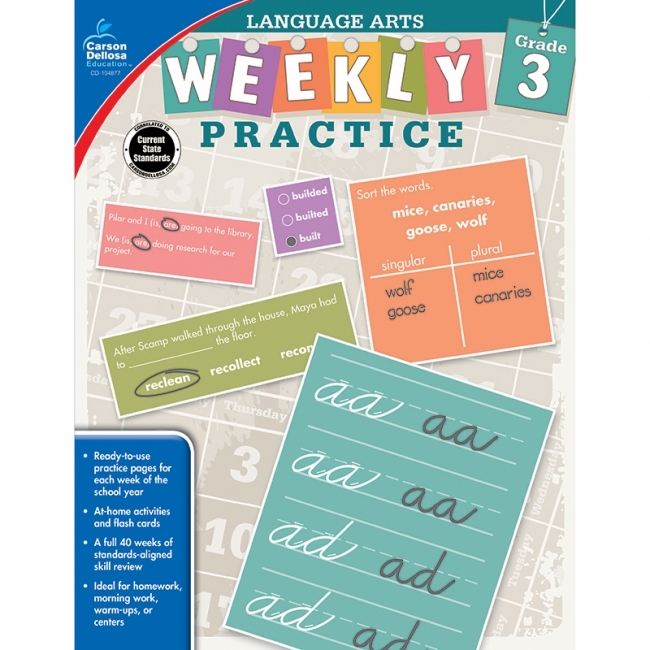 Weekly Practice: Language Arts for grade 3 allows you to reinforce language arts topics at school and at home by offering 40 weeks of standards-based activities and skill review. The unique layout and engaging exercises keep students interested as they build concept knowledge and essential skills. Reproducible at-home activities and flash cards are also included to encourage the home-to-school connection that's essential for student success. --Weekly Practice is the perfect time-saving resource for creating standards-aligned homework packets and keeping students' skills sharp all year long. The Weekly Practice series for kindergarten to grade 5 provides 40 weeks of comprehensive skill review. Each 192-page supplemental workbook focuses on critical skills and concepts that meet the standards for language arts or math. 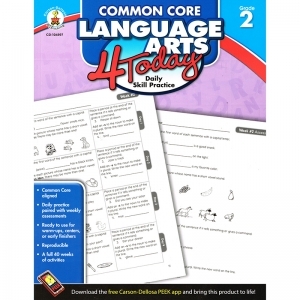 Designed to help students achieve subject mastery, each book includes four days of practice activities, weekly off-the-page activities, Common Core State Standards alignment matrix, flash cards, and an answer key. 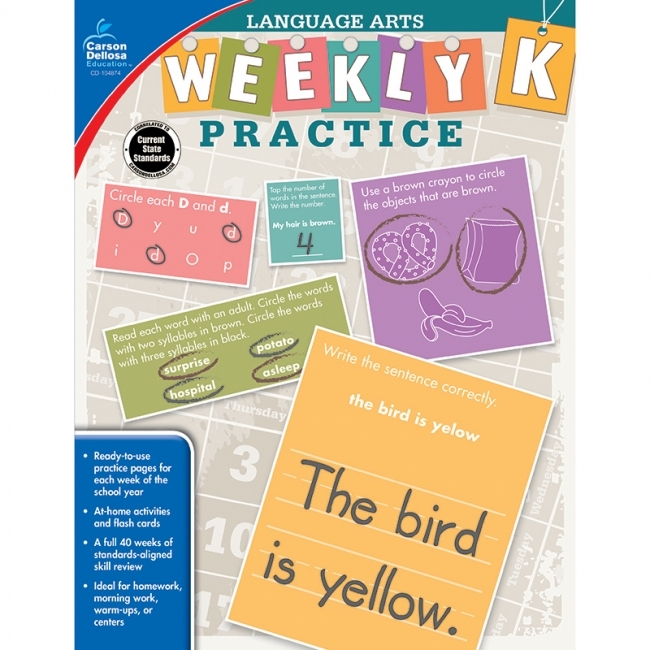 Weekly Practice offers an effortless way to integrate language arts or math practice into daily classroom instruction. Weekly Practice: Language Arts for grade 5 provides daily practice for key concepts such as spelling, root words, affixes, figurative language, parts of speech, main idea, and more. Complete with flash cards and activities, this series supports classroom success by offering extra practice at home. --Improve students' comprehension skills in the classroom while also providing a way to continue the learning process at home. 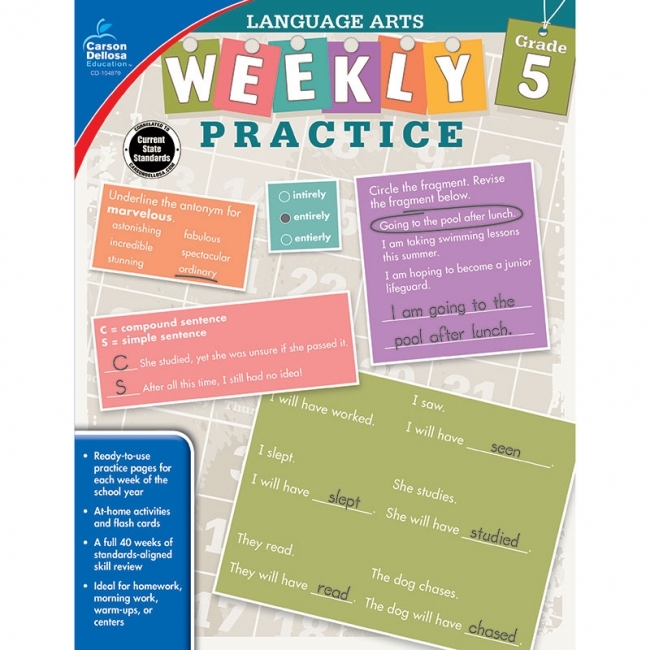 Weekly Practice: Language Arts for grade 5 allows you to reinforce language arts topics at school and at home by offering 40 weeks of standards-based activities and skill review. The unique layout and engaging exercises keep students interested as they build concept knowledge and essential skills. Reproducible at-home activities and flash cards are also included to encourage the home-to-school connection that's essential for student success. --Weekly Practice is the perfect time-saving resource for creating standards-aligned homework packets and keeping students' skills sharp all year long. The Weekly Practice series for kindergarten to grade 5 provides 40 weeks of comprehensive skill review. 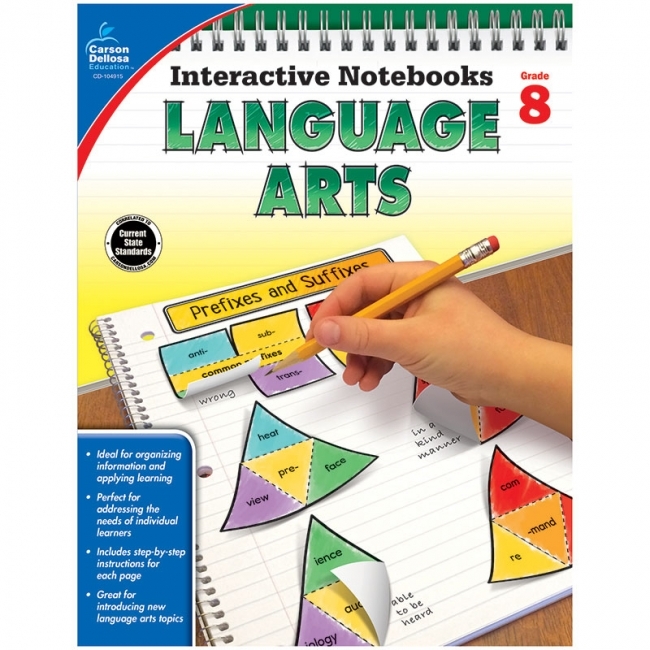 Each 192-page supplemental workbook focuses on critical skills and concepts that meet the standards for language arts or math. 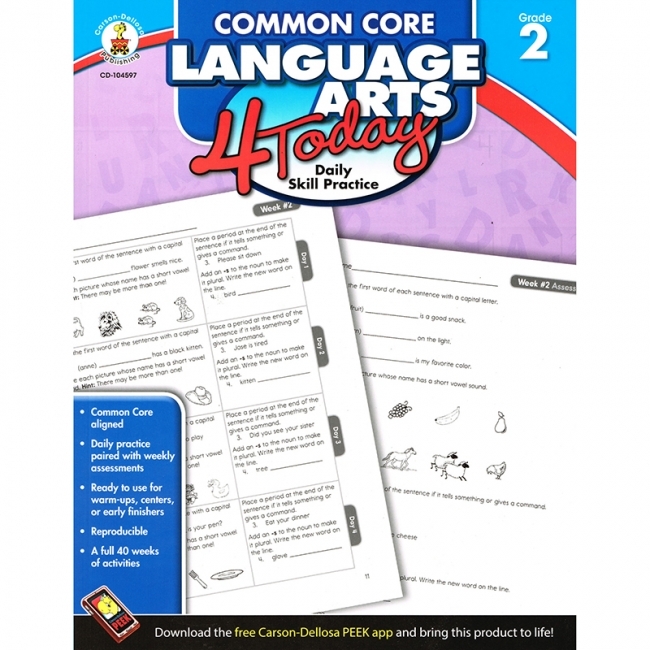 Designed to help students achieve subject mastery, each book includes four days of practice activities, weekly off-the-page activities, Common Core State Standards alignment matrix, flash cards, and an answer key. Weekly Practice offers an effortless way to integrate language arts or math practice into daily classroom instruction. 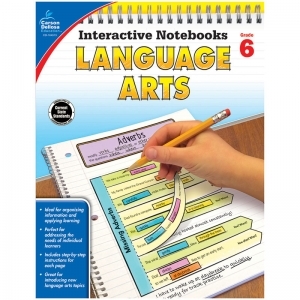 Interactive Notebooks: Language Arts for grade 6 is a fun way to teach and reinforce effective note taking for students. Students become a part of the learning process with activities about making inferences, improving writing, pronouns, active and passive voice, Greek and Latin roots, and more! --This book is an essential resource that will guide you through setting up, creating, and maintaining interactive notebooks for skill retention in the classroom. High-interest and hands-on, interactive notebooks effectively engage students in learning new concepts. Students are encouraged to personalize interactive notebooks to fit their specific learning needs by creating fun, colorful pages for each topic. With this note-taking process, students will learn organization, color coding, summarizing, and other important skills while creating personalized portfolios of their individual learning that they can reference throughout the year. Spanning grades kindergarten to grade 8, the Interactive Notebooks series focuses on grade-specific math, language arts, or science skills. Aligned to meet current state standards, every 96-page book in this series offers lesson plans to keep the process focused. Reproducibles are included to create notebook pages on a variety of topics, making this series a fun, one-of-a-kind learning experience. Interactive Notebooks: Language Arts for grade 7 is a fun way to teach and reinforce effective note taking for students. Students become a part of the learning process with activities about plot structure, conflict, clauses, misplaced and dangling modifiers, connotation, allusion, and more! --This book is an essential resource that will guide you through setting up, creating, and maintaining interactive notebooks for skill retention in the classroom. High-interest and hands-on, interactive notebooks effectively engage students in learning new concepts. Students are encouraged to personalize interactive notebooks to fit their specific learning needs by creating fun, colorful pages for each topic. With this note-taking process, students will learn organization, color coding, summarizing, and other important skills while creating personalized portfolios of their individual learning that they can reference throughout the year. Spanning grades kindergarten to grade 8, the Interactive Notebooks series focuses on grade-specific math, language arts, or science skills. Aligned to meet current state standards, every 96-page book in this series offers lesson plans to keep the process focused. Reproducibles are included to create notebook pages on a variety of topics, making this series a fun, one-of-a-kind learning experience. Interactive Notebooks: Language Arts for grade 8 is a fun way to teach and reinforce effective note taking for students. Students become a part of the learning process with activities about textual evidence, literary devices, theme, analyzing argument, revision and editing, verb moods, and more! --This book is an essential resource that will guide you through setting up, creating, and maintaining interactive notebooks for skill retention in the classroom. High-interest and hands-on, interactive notebooks effectively engage students in learning new concepts. Students are encouraged to personalize interactive notebooks to fit their specific learning needs by creating fun, colorful pages for each topic. With this note-taking process, students will learn organization, color coding, summarizing, and other important skills while creating personalized portfolios of their individual learning that they can reference throughout the year. Spanning grades kindergarten to grade 8, the Interactive Notebooks series focuses on grade-specific math, language arts, or science skills. Aligned to meet current state standards, every 96-page book in this series offers lesson plans to keep the process focused. Reproducibles are included to create notebook pages on a variety of topics, making this series a fun, one-of-a-kind learning experience. Improve the way you monitor student growth in an instant. Instant Assessments for Data Tracking Language Arts for kindergarten provides a variety of formative and summative assessments on grade-specific topics such as fluency, phonics, comprehension, and parts of speech. Proof of student growth is important in today's classroom, and the Instant Assessments for Data Tracking series helps teachers stay ahead. This series includes ready-to-go assessments and covers all the skills and standards for the entire school year. 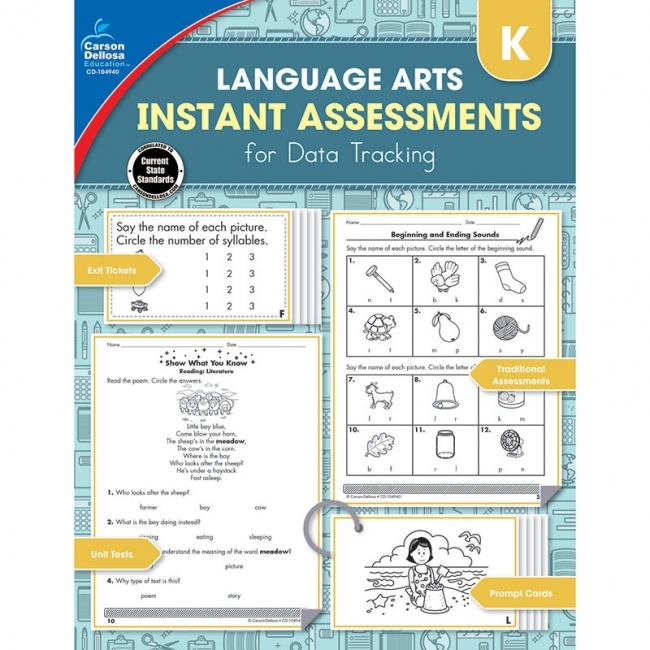 Available for grades K-5, each subject-specific book features pre-tests, post-tests, exit tickets, formatted tests, lists for personalized assessments, and prompt cards for one-on-one assessments. This all-in-one resource has everything teachers need to track students' growth, one assessment at a time! Improve the way you monitor student growth in an instant. 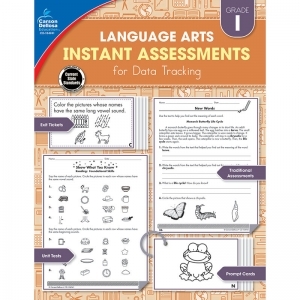 Instant Assessments for Data Tracking Language Arts for grade 1 provides a variety of formative and summative assessments on grade-specific topics such as comprehension, story elements, phonics, parts of speech, and fluency. Proof of student growth is important in today's classroom, and the Instant Assessments for Data Tracking series helps teachers stay ahead. This series includes ready-to-go assessments and covers all the skills and standards for the entire school year. Available for grades K-5, each subject-specific book features pre-tests, post-tests, exit tickets, formatted tests, lists for personalized assessments, and prompt cards for one-on-one assessments. This all-in-one resource has everything teachers need to track students' growth, one assessment at a time! Improve the way you monitor student growth in an instant. 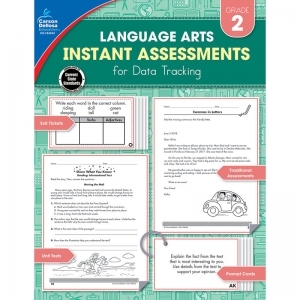 Instant Assessments for Data Tracking Language Arts for grade 2 provides a variety of formative and summative assessments on grade-specific topics such as capitalization, comprehension, story elements, parts of speech, and more. Proof of student growth is important in today's classroom, and the Instant Assessments for Data Tracking series helps teachers stay ahead. This series includes ready-to-go assessments and covers all the skills and standards for the entire school year. 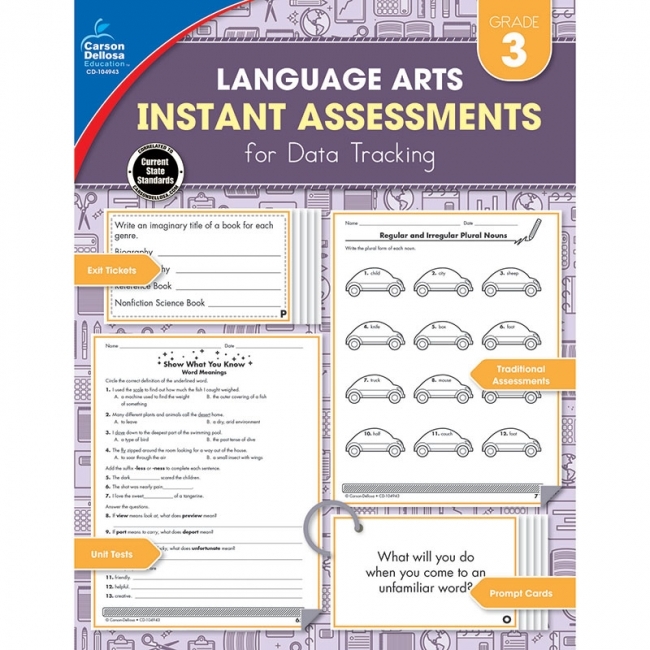 Available for grades K-5, each subject-specific book features pre-tests, post-tests, exit tickets, formatted tests, lists for personalized assessments, and prompt cards for one-on-one assessments. This all-in-one resource has everything teachers need to track students' growth, one assessment at a time! Improve the way you monitor student growth in an instant. Instant Assessments for Data Tracking Language Arts for grade 3 provides a variety of formative and summative assessments on grade-specific topics such as fluency, commas, comprehension, decoding, capitalization, and parts of speech. Proof of student growth is important in today's classroom, and the Instant Assessments for Data Tracking series helps teachers stay ahead. This series includes ready-to-go assessments and covers all the skills and standards for the entire school year. Available for grades K-5, each subject-specific book features pre-tests, post-tests, exit tickets, formatted tests, lists for personalized assessments, and prompt cards for one-on-one assessments. This all-in-one resource has everything teachers need to track students' growth, one assessment at a time! Improve the way you monitor student growth in an instant. 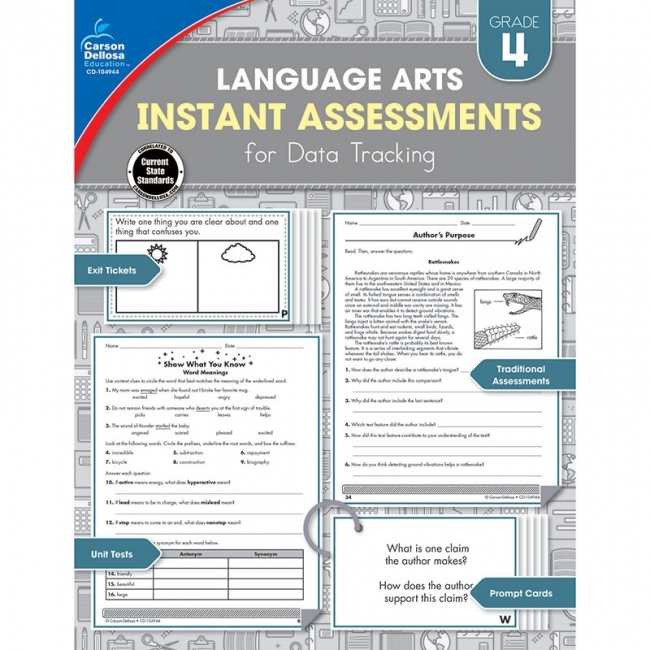 Instant Assessments for Data Tracking Language Arts for grade 4 provides a variety of formative and summative assessments on grade-specific topics such as commas, capitalization, theme, fluency, parts of speech, and more. Proof of student growth is important in today's classroom, and the Instant Assessments for Data Tracking series helps teachers stay ahead. This series includes ready-to-go assessments and covers all the skills and standards for the entire school year. 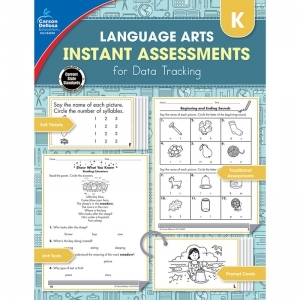 Available for grades K-5, each subject-specific book features pre-tests, post-tests, exit tickets, formatted tests, lists for personalized assessments, and prompt cards for one-on-one assessments. This all-in-one resource has everything teachers need to track students' growth, one assessment at a time! Improve the way you monitor student growth in an instant. 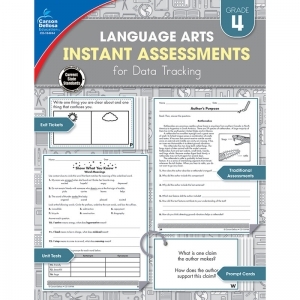 Instant Assessments for Data Tracking Language Arts for grade 5 provides a variety of formative and summative assessments on grade-specific topics such as story structure, reading comprehension, decoding words, commas, and more. Proof of student growth is important in today's classroom, and the Instant Assessments for Data Tracking series helps teachers stay ahead. This series includes ready-to-go assessments and covers all the skills and standards for the entire school year. 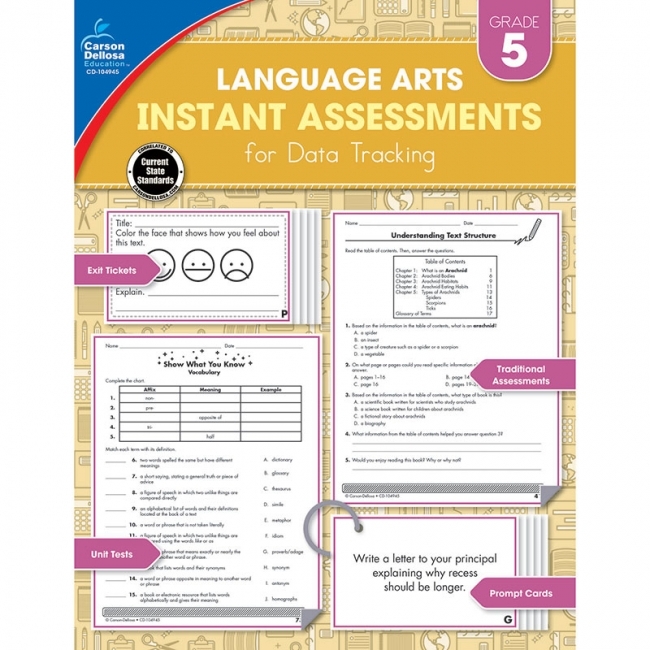 Available for grades K-5, each subject-specific book features pre-tests, post-tests, exit tickets, formatted tests, lists for personalized assessments, and prompt cards for one-on-one assessments. This all-in-one resource has everything teachers need to track students' growth, one assessment at a time!